I blogged about Joe Jack’s Fish Shack in Puerto Vallarta because of this dish. Every time I go down there this is #1 on my list of things to eat. It’s so fresh, full of flavor and light at the same time. Hands down one of my favorite dishes and now I have the recipe for myself thanks to the oh-so-friendly owner who had no hesitation in giving it to me the last time I was down there (thank you!). And now I’m sharing it with you! Toast all spices except salt and black peppercorns in a sauté pan on very low heat until smoking. Let cool and add black peppercorns. Grind in a spice grinder (coffee grinder) or blender or morder and pestle. Combine with the salt. You can save and use this on anything. It will add a great interesting flavor to anything you can imagine. 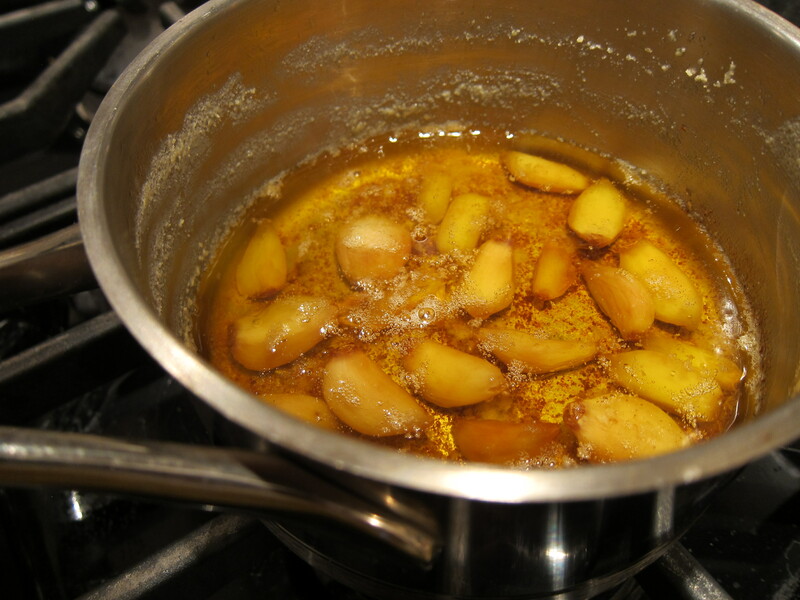 To poach the garlic, slowly heat butter (enough to cover) and garlic cloves until cloves just give to the touch. You can do more of this as well and just keep it in the fridge to use later in the week, but not too long as it will get rancid. Place on griddle or grill or sauté pan on one side and cover. If its in an oven do not cover (cook for approx. 30 mins, 15 mins on each side or when done). When fish is about half done on topside, flip the fish to the other side and cover again. When the “new” topside is just cooked or rather almost cooked to the bone (the scores let you peek). You are pretty assured that the downside is also done. Note: an important thing to remember is that over cooked fish is way worse than under cooked fish. Most likely the residual heat from the cooking, will continue cooking the fish at the bone. Place the fish on a serving platter. In a separate hot sauté pan, put in the butter and poached garlic, a pinch of salt, and four or five more whole chilies. 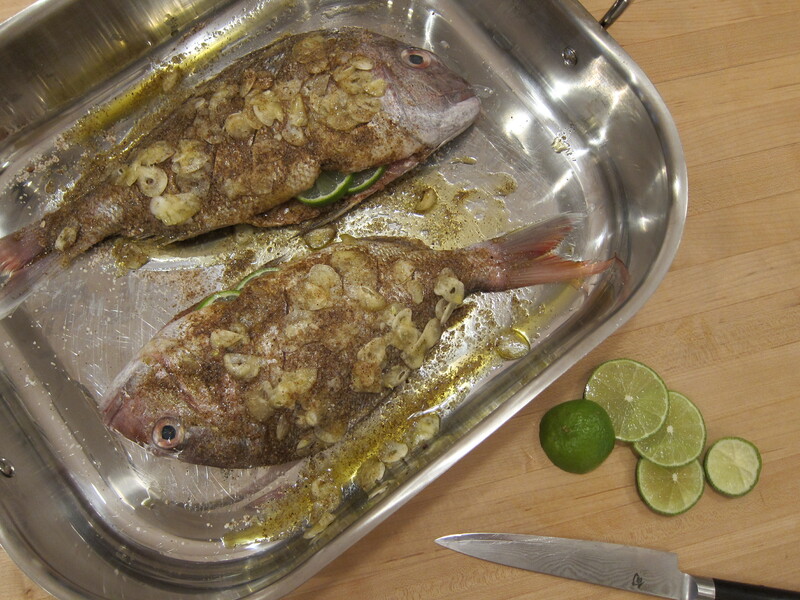 When the butter starts to brown, add the lime juice, and pour it all over the fish. 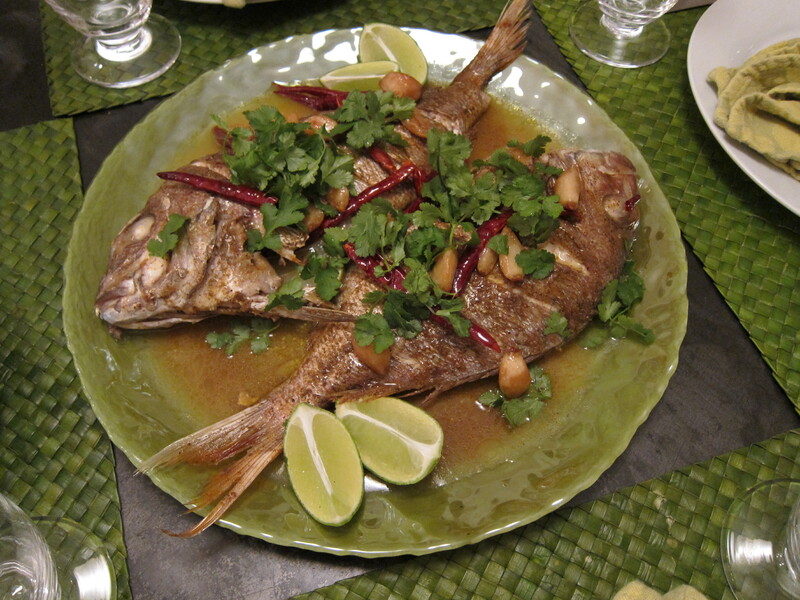 Garnish with fresh cilantro leaves, lime halves, and serve with fresh tortillas and beans and rice. Thanks! We go to Joe Jacks every year during our winter visit and LOVE this fish! Have made it a couple of times and am preparing it again tonight!